Explore the many miles of equestrian trails available to foot traffic, bikers and horseback riders. equestrian trail 5.5-mile trail that runs parallel to Fox Brown Road and winds south through brush and oak. 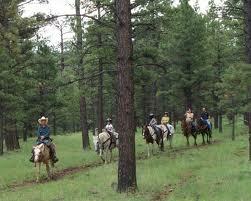 Visitors can enjoy paved and off-road biking, equestrian trails, and hiking trails. Palm City Farms Trail Association, Inc.